It feels like a long time ago since the Ford Fiesta ST was announced and recently it seems to have gone a bit quiet on Ford’s end. 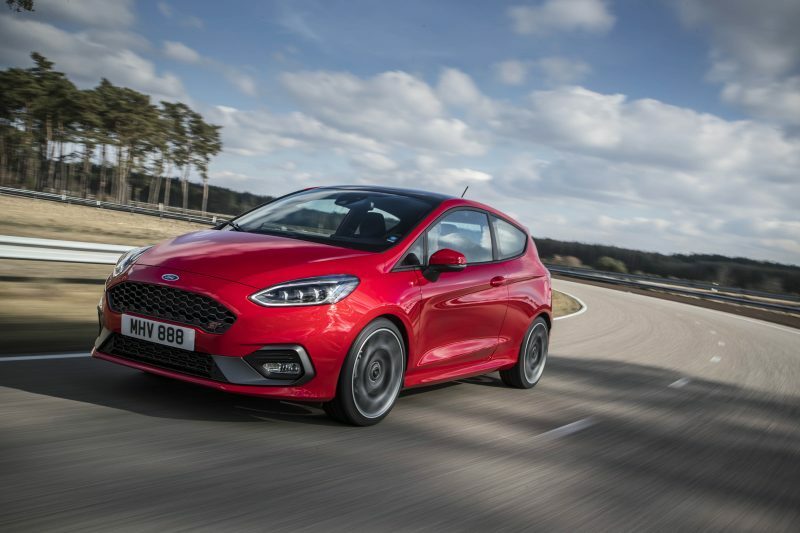 However, the Blue Oval has today revealed further details about what the new Fiesta ST will be able to offer, but there are still no confirmed prices or release date. Ford, what are you trying to do to us!!! Yes, we may not know how much it will cost or when we can get one, but Ford has revealed some juicy details about the forthcoming sporty supermini. The Fiesta ST has already caused a bit of stir, mainly as its not only got a smaller displacement, but it’s also got one less cylinder as well. It has different driving modes too, which I have to say I’m rather excited about. These features are a first for the Fiesta ST, but the new changes don’t stop there. Could these fabric seats be part of the ST-1 trim level? SweeTer Than The Last ST? Anyone worth their salt will know that the previous ST was a bit a of a firecracker; in fact many regard it as the best hot hatch of its time. Needless to say then, the new model has some big, intimidating shoes to fill. Thankfully it’s able to offer a Quaife limited slip diff – albeit optional – which is a first for the Fiesta ST and should mean that any potential torque steer will be diminished. This means the ST should be less of handful on the limit, although I know some people like to feel the car fighting back somewhat. 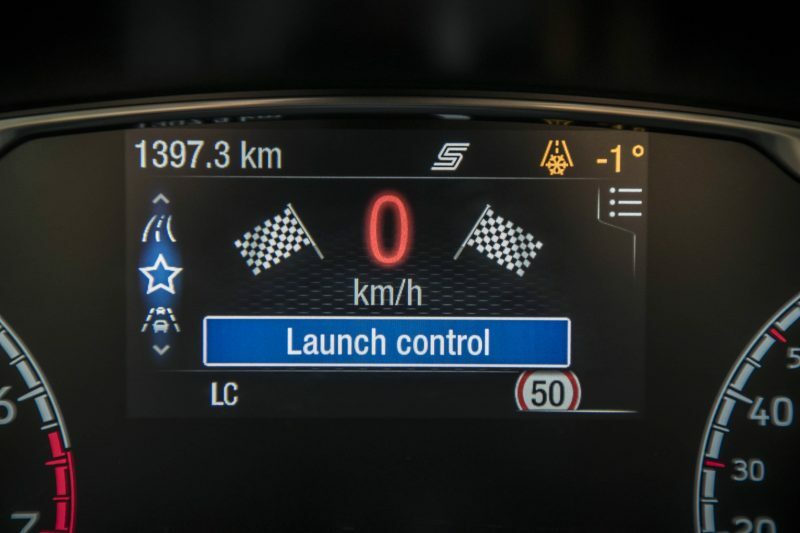 Although Ford states that it’s for track use only – party poopers – the Fiesta ST is also available with launch control. Ford states that the procedure will simple to use, and will be operated via the steering wheel controls. This will then trigger a dedicated display on a 4.2″ TFT screen, instructing the driver to build the revs up before the system locks it in to place and then telling the driver when it’s ready to unleash all of the 197bhp. In case you’ve forgotten, the Fiesta ST is able to get to 62mph in just 6.5 seconds and it will then continue to a top speed of 144mph- not too shabby. Another new feature – there’s quite a lot of them isn’t there? 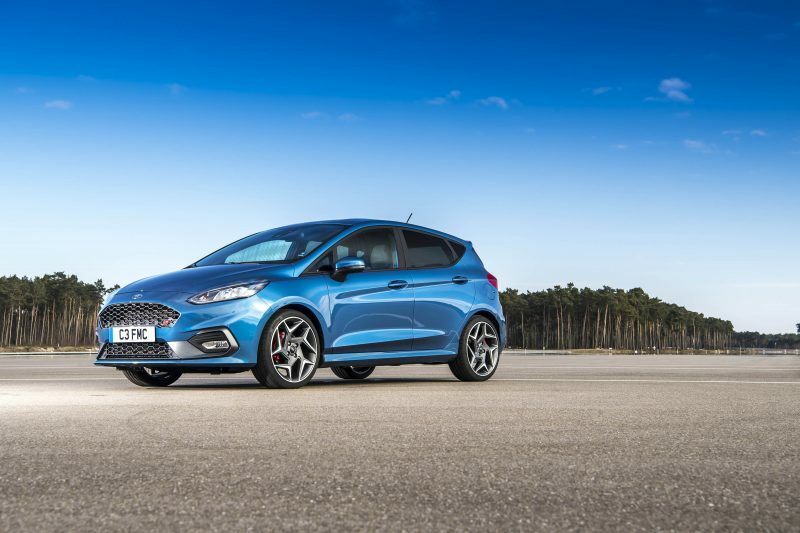 – for the third generation Fiesta ST are vectoring springs. Say what now? Let me explain – without going in to full-blown James May mode. These Ford-patented force vectoring springs are used on the ST’s twist-beam rear suspension, and are able to apply vectoring forces to the rear suspension as well as enabling cornering forces to travel directly into the spring, for increased lateral stiffness. 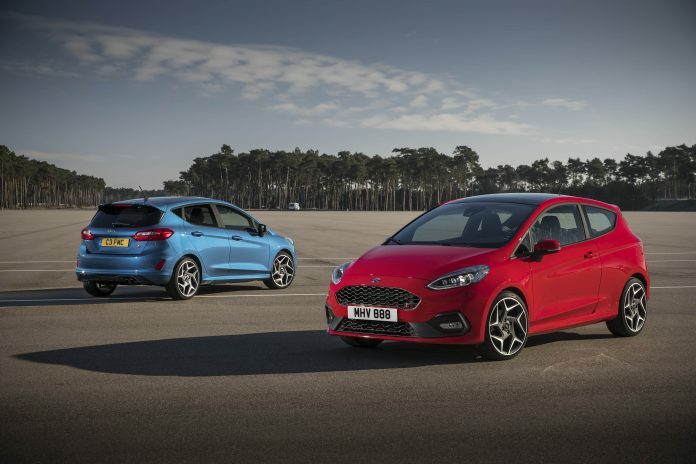 The all-new Fiesta ST is the first compact hot-hatchback to benefit from the technology that uses non-uniform, non-interchangeable, directionally-wound springs, and these are cold-formed for better strength and durability. 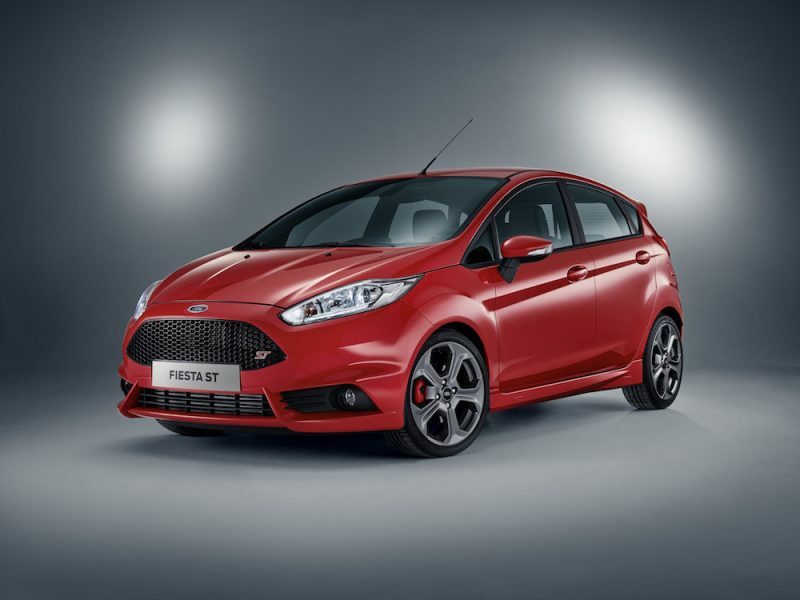 The benefits of using such as system is that the Fiesta ST will offer a sharper turn-in as well sharper steering responses, plus it offers 10 saving other a traditional set up. Ford also states that this setup will not compromise comfort or ride quality, so it sounds like a win-win in my book. “We went through three times the normal number of suspension iterations to find a set-up that delivered the exciting driving experience demanded of an ST model, but also comfort and refinement for everyday driving,” Roeks said. 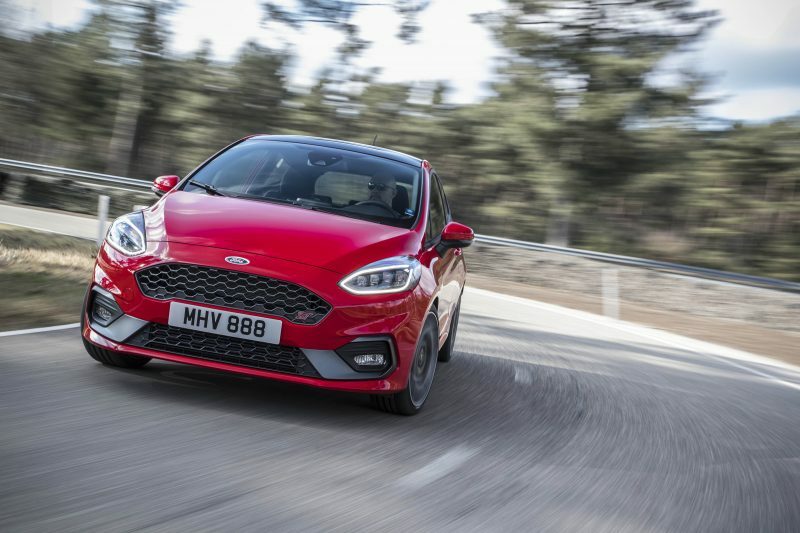 “The car’s sophisticated dampers self-adjust to tune out high-frequency road imperfections when there is limited demand for damping – like on the motorway, but adjust again to deliver optimised road-holding performance when driven hard.” That’s great Ford, but for the love of God, tell us how much it is and when we can buy it! In the meantime, here is a video provided by Ford to tease us even more.